The ultimate young person’s guide to personal finance, success and motivation, The Beginner’s Guide to Wealth was a certified bestseller within three months of its release and named Money magazine’s book of the month for March 2010. In this groundbreaking book, the authors draw on their combined knowledge and experience to help readers abandon the crowd and start living a fulfilled life. The book shows readers about essential skill development, forming good habits, building a positive mental attitude, creating the right “success” for you, avoiding the common pitfalls, and investing your money wisely. • Feel like you’re in a rut? • Wonder how to stand out from your peers? • Stress about your career and the future? • Struggle to stay motivated throughout the day? • Want the tools to turbocharge success? • Worry about the future? • Want to be successful but aren’t sure how to get there? 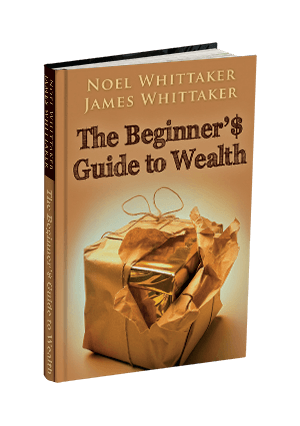 The Beginner’s Guide to Wealth gives you all the necessary advice, skills, information and motivation to take charge of your life. NOTE: Completely revised and updated version released in August 2016. 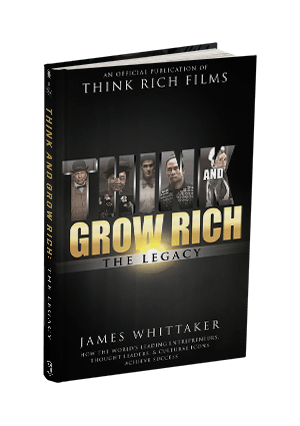 This episode of EOFire features James Whittaker, author of international bestselling book Think and Grow Rich: The Legacy. James is also an acclaimed speaker, entrepreneur and film producer. In this episode, JLD and James talk about what extraordinary achievers do that others don't, why Think and Grow Rich is still so popular today, how people can take ownership of their own lives, and much more!